If you’ve got an iPad Pro, you already know that the Apple Pencil is one of the highlights of this new tablet. It brings a whole lot more functionality to the tablet, allowing you to naturally jot down notes, create graphs, and then use special Apple Pencil-specific functions. It’s a great way to even do some graphic design on the iPad Pro; however, the Apple Pencil for these functions is insanely expensive. It’s an extra $130 in addition to the already expensive iPad Pro. That’s not cash every one has to blow; however, if you still want an Apple Pencil or stylus of some sort, there’s plenty of different options available to you. They might not bring you all the functions that the Apple Pencil can, but they will give you a stylus that the tablet can be navigated through with. Note sure which one to pick up for your iPad Pro? Here are some of our top picks. Coming up as our number one contender on our countdown, we have the Apple Pencil. 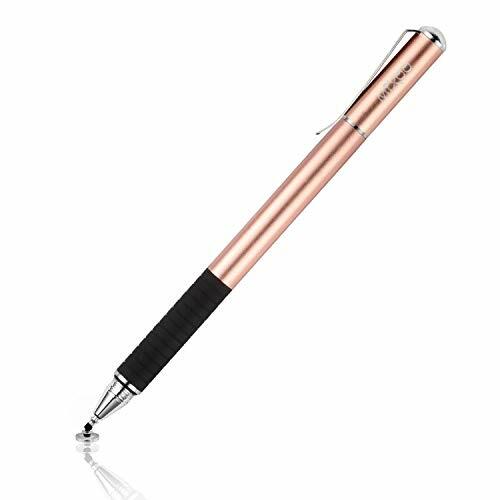 This little device that magnetically attaches to your iPad Pro enables you to do note-taking, writing, and even drawing with unmatched precision. Since it magnetically attaches to the iPad Pro, it’s also able to receive a charge from the tablet this way, always making sure your Apple Pencil is at the ready. The Apple Pencil is compatible with most iPad Pro models; however, this one was designed for the 3rd Gen model, which comes with some exclusive functions, such as being able to double tap between tools and apps. The KSW Stylus Pen isn’t an exact replacement for the Apple Pencil, but it does bring you some more precision when it comes to drawing, writing, and note-taking. It’s certainly a whole lot better than doing it by hand. You can power this one on by pressing the clicker at the top — a blue light appears to signify that it’s on. It has 10 hours of charge on this one, and, unfortunately, it isn’t able to charge via the iPad Pro itself. Instead, you have to juice up by way of micro-USB when it runs out of juice. The KSW Stylus Pen is a nice choice, but still a little expensive as far as styluses go. That said, the MEKO Stylus Pen might be a little more up your alley. This one doesn’t take a battery, and instead has a touch-sensitive tip. 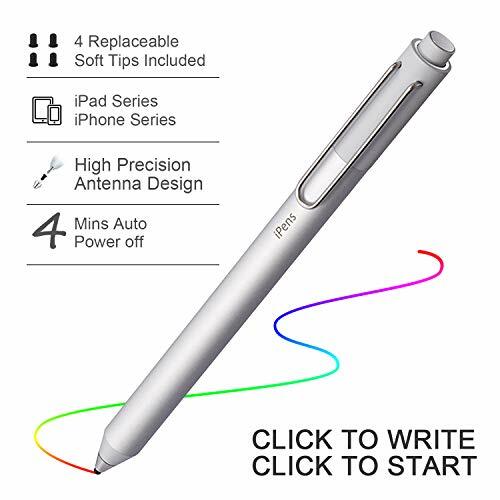 This makes it a little less feature rich, but you’ll still be able to navigate through the basic functions of the MEKO Stylus Pen fairly easily — you’ll have much better precision with note-taking and writing, as well as drawing. Two comes in the package. If you don’t want to keep on top of your stylus’ battery all the time, the fiber-tipped Mixoo Stylus Pen might be more up your alley. The fiber-tip is touch sensitive, which means that you’ll be able to jot down notes, write, and even draw — all without a powered stylus. This one works with the iPad Pro, as well as other tablets on the market. It comes in Gold, but there are a variety of other colors inside as well. 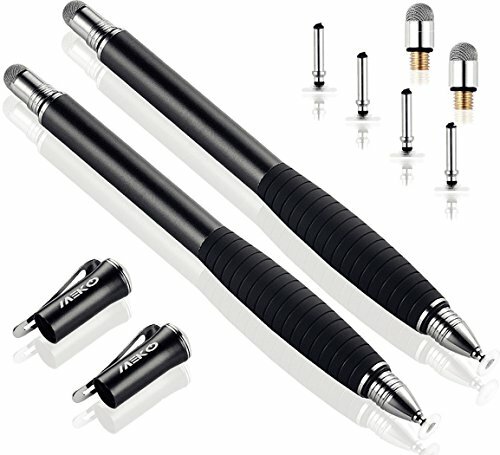 Coming up next, we have the Evach Active Stylus. 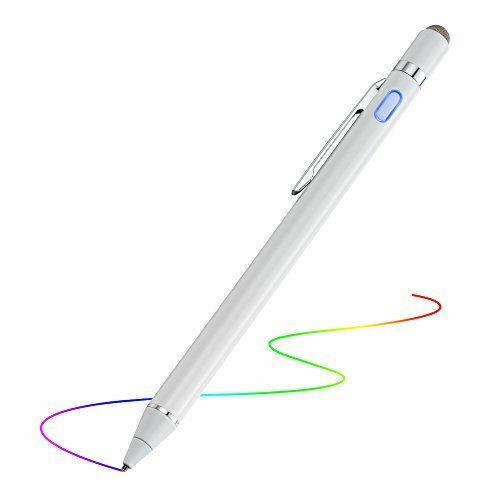 This is a powered stylus, so it is one that you’ll have to stay on top of the battery with. This is compatible with most touch devices; however, it will experience the most precision with the iPad Pro. The built-in battery will provide you with a whole eight hours of function. It has a power saver that turns it off after 30 minutes automatically; and then just 60 minutes on the charger will juice it up all the way. Here we’ve shown you five of the best styluses and pencils that you can pick up for the all new iPad Pro. The Apple Pencil is obviously the best on our list, bringing unmatched precision and function to the iPad Pro; however, as already mentioned, this one isn’t necessarily a great choice for those that don’t want to drop an extra $130 on a stylus. That said, one of the other styluses on your list might be more up your alley. Do you have a favorite stylus for the iPad Pro? Let us know what it is in the comments section below.